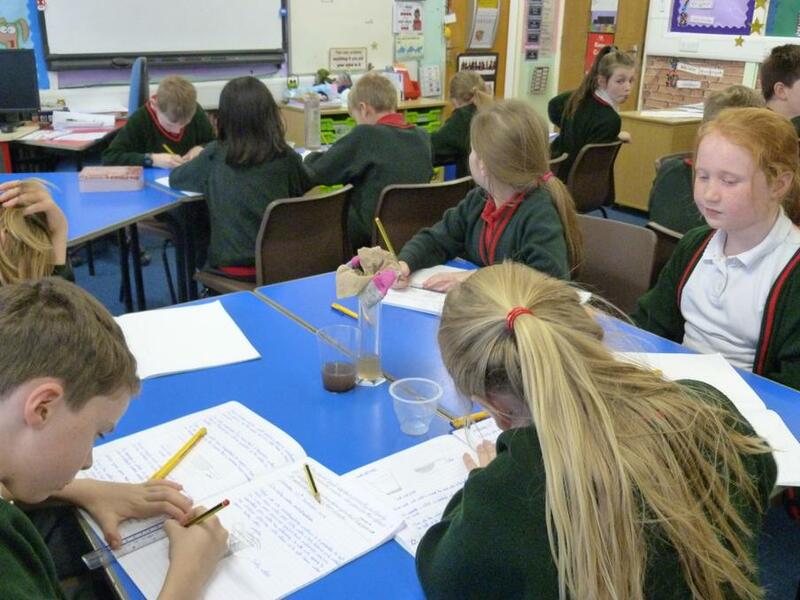 Engaging English that will get the pupils inspired to become authors through the study of fiction, non-fiction and poetry. 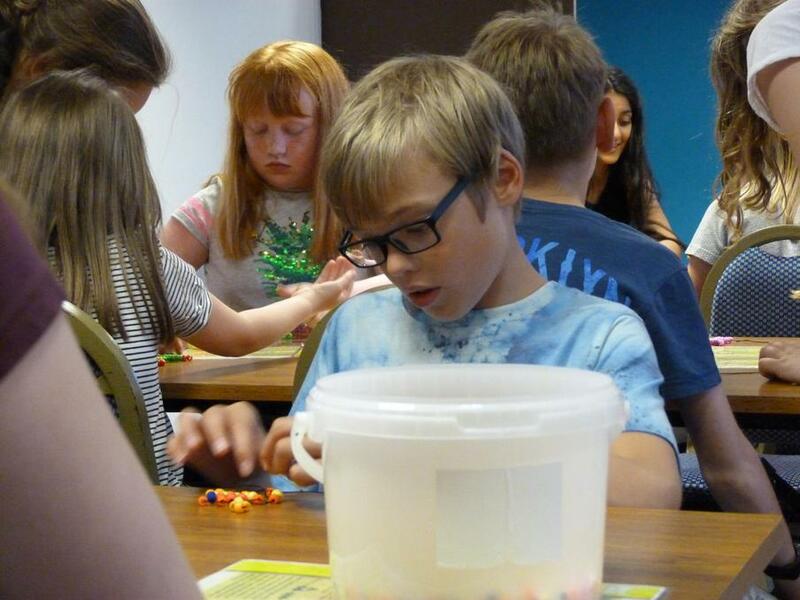 Marvellous Maths that will get pupils calculating totals, solving problems and handling data. 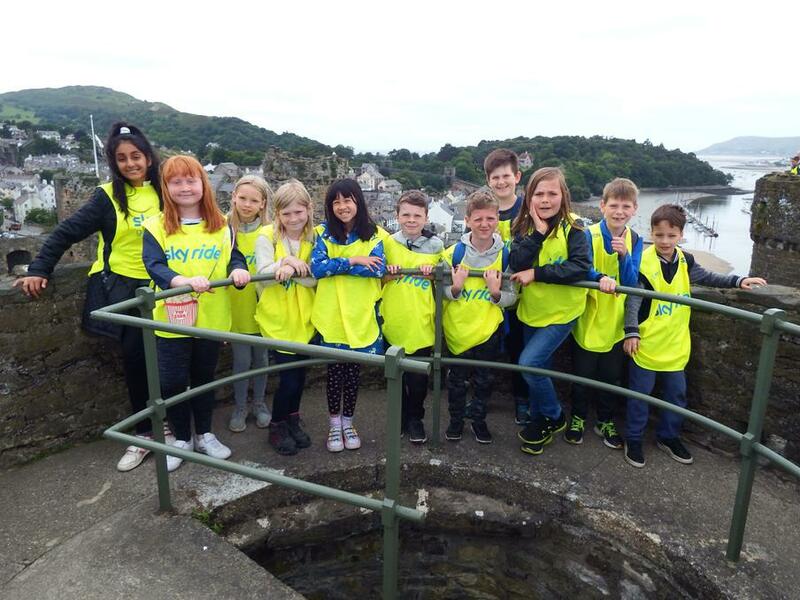 Tantalizing Topics that will take pupils back in time to learn about the past. 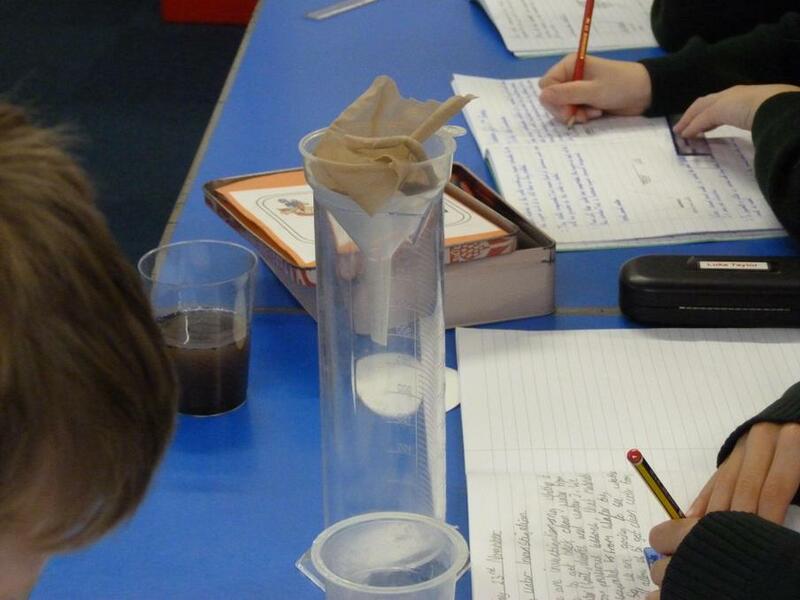 Super Science that will get pupils investigating questions and learning about the world in which they live. Creative Computing that will allow pupils to design buildings and create music with the touch of a button. 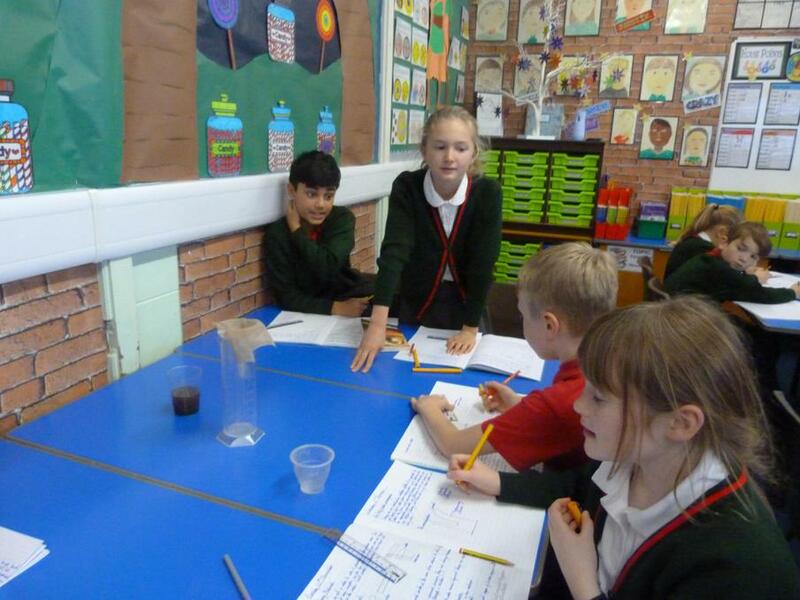 Everyday in Year 5 is packed full of learning so please keep coming back to this page to find out what is happening in the Year 5 classroom. 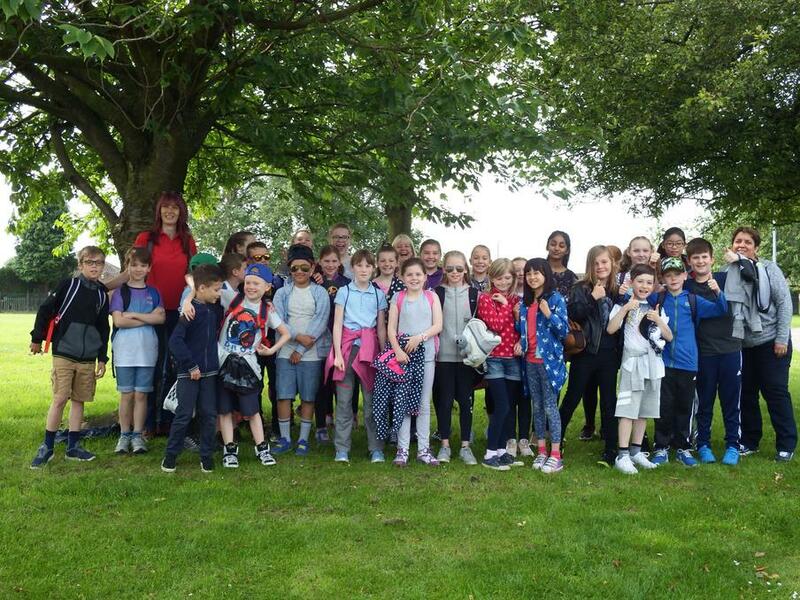 On Monday 19th June the children went to Wellington School to have a taster session; experiencing what it is like at Secondary School. 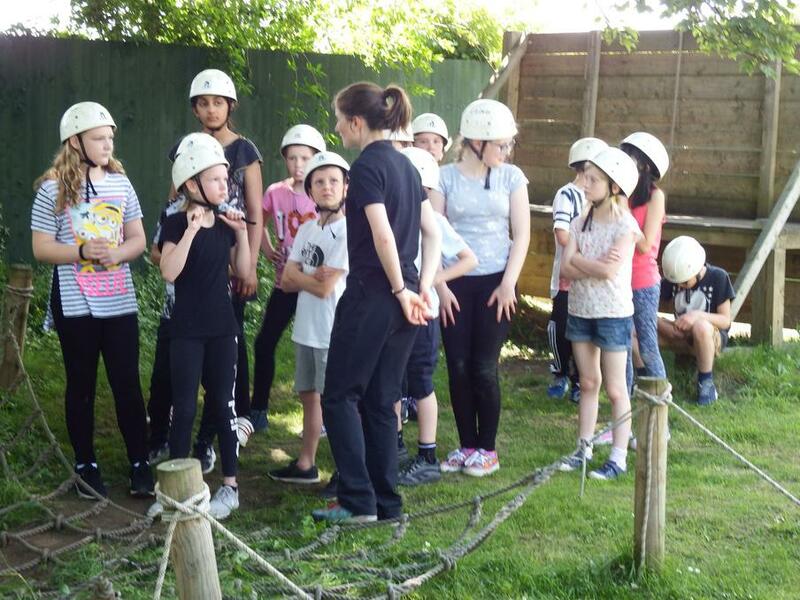 They had the opportunity to meet various staff and to take part in different activities including History, English, PSHE and PE. 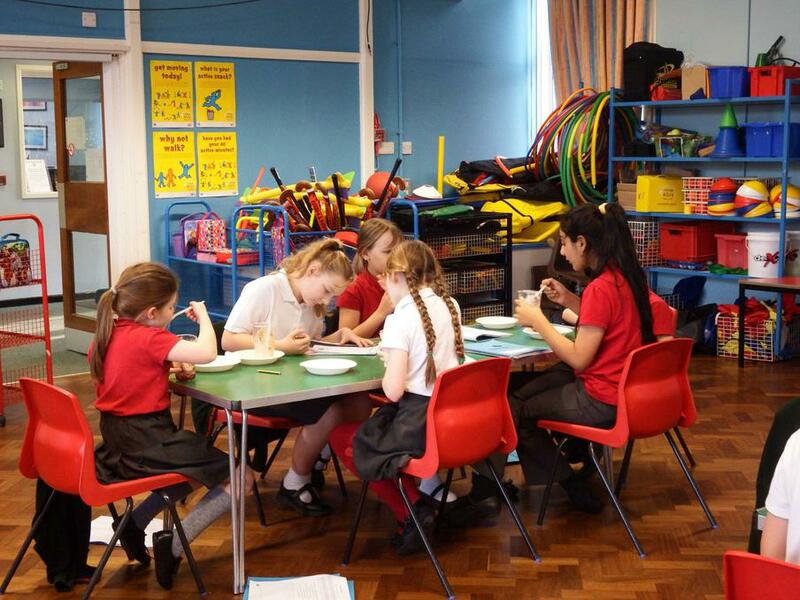 The children thoroughly enjoyed this day, especially choosing lunch from the canteen. 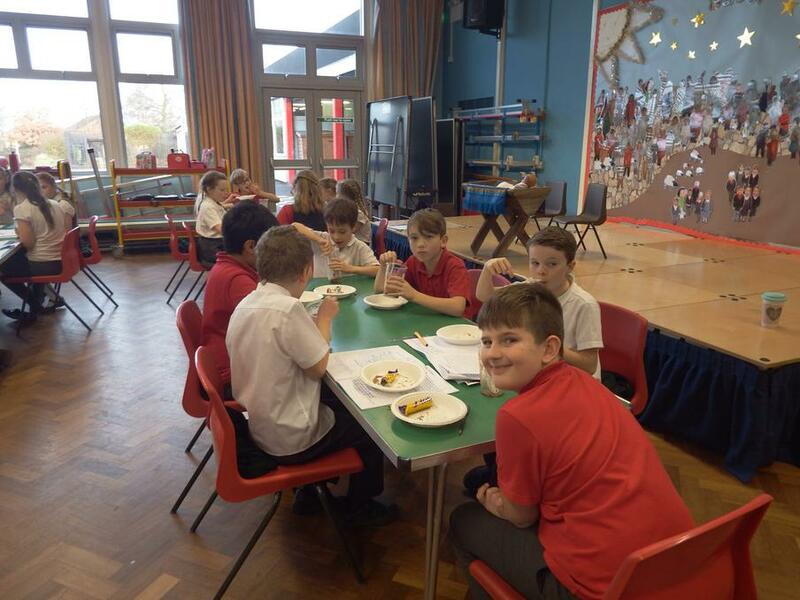 The pizza and chocolate brownies seemed to be a big hit. 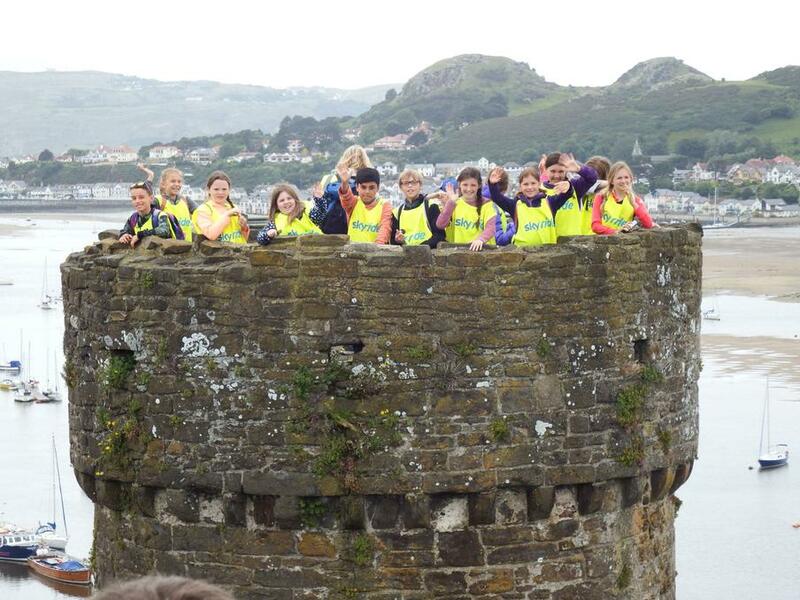 On Wednesday 14th June the pupils in Year 5 went on their annual residential to Conwy. 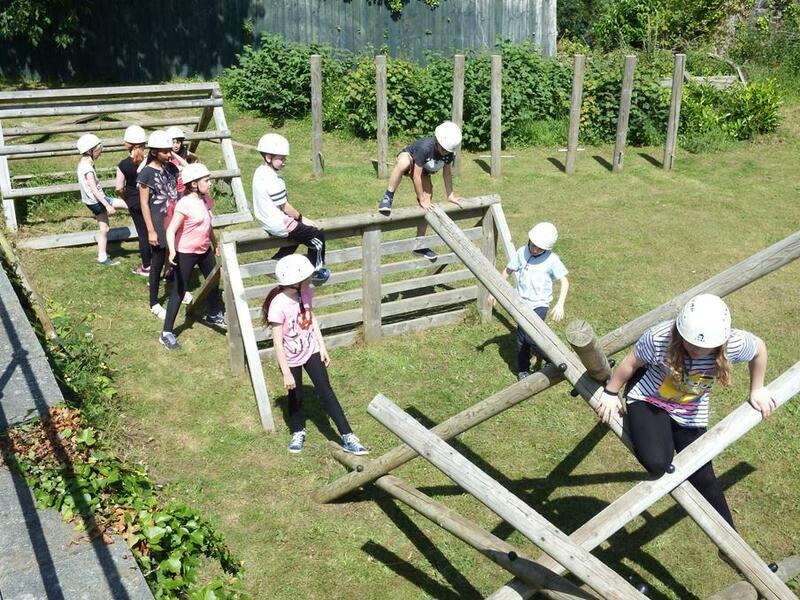 This residential was a great opportunity for pupils to develop team work skills and to develop personal and social confidence. 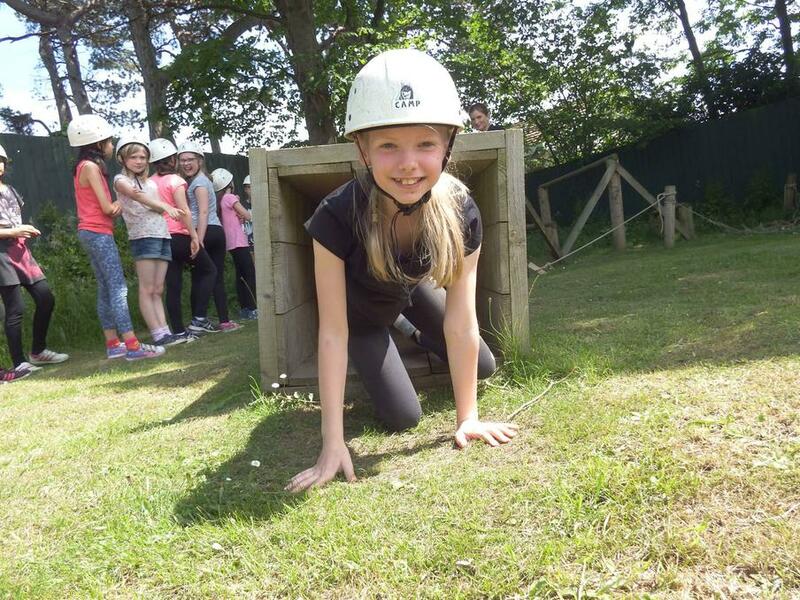 As you will see from the photographs below, the children thoroughly enjoyed it. 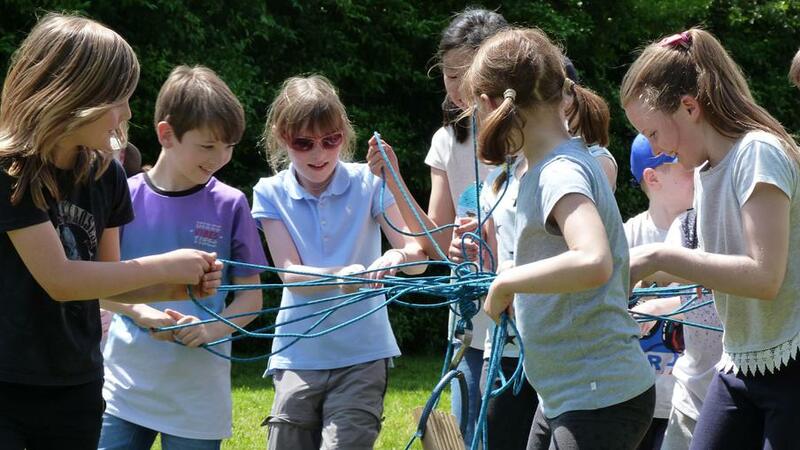 The weather was glorious and the many activities kept the children engaged and enthused throughout. 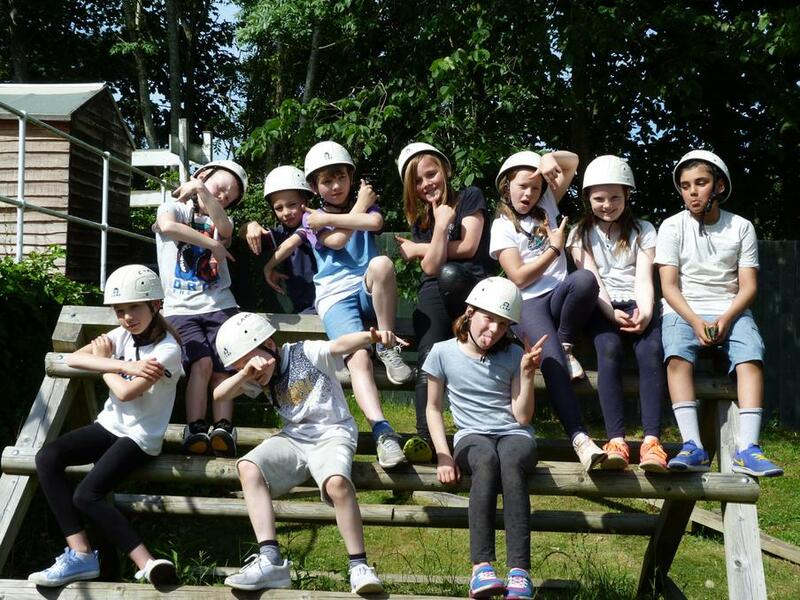 As a school we really enjoy going on this residential because it has so much to offer our pupils. I don't think anyone had time to be bored; not even the teachers. 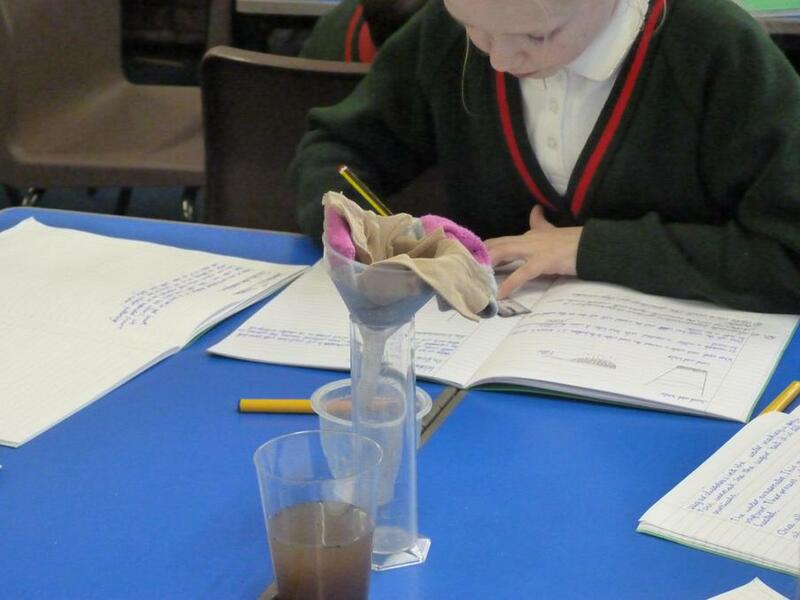 Year 5 have really enjoyed reading and writing very short stories. We started our work by looking at the book 'SHORT' by Kevin Crossley-Holland and read a few attention grabbing stories from this collection. Our class favourite was called 'Boo!'. If you get chance to read this for yourself we are sure you will like it too. After reading it you might find yourself checking under your bed and inside your wardrobe when you go to bed at night. Inspired by these stories, we had a go at writing our own short stories. Please take the time to read them. We are sure you are going to like them. We have been lucky this year to have tuition for the clarinet during the Summer term. The children are thoroughly enjoying these lessons and are learning some wonderful songs to perform at the EXTRAFFORDGANZA, which will be help at the Northern College of Music on the 18th July. They will also be performing for parents in a special concert which brings an end to this musical project. We have some budding clarinet players in our class and some wonderful singers. 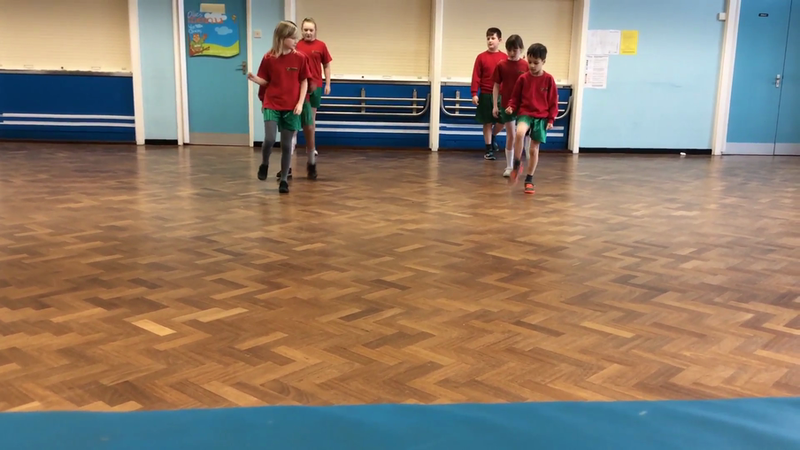 The focus in PE this half term has been dance. 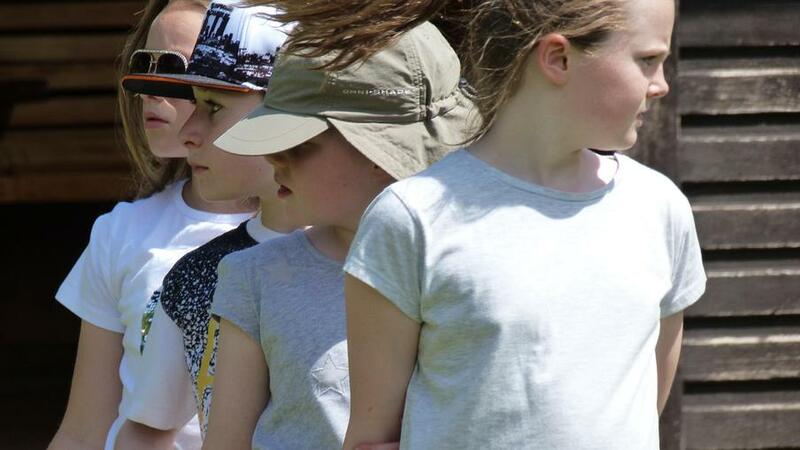 This unit of work began by exploring and watching different forms of dance in class. 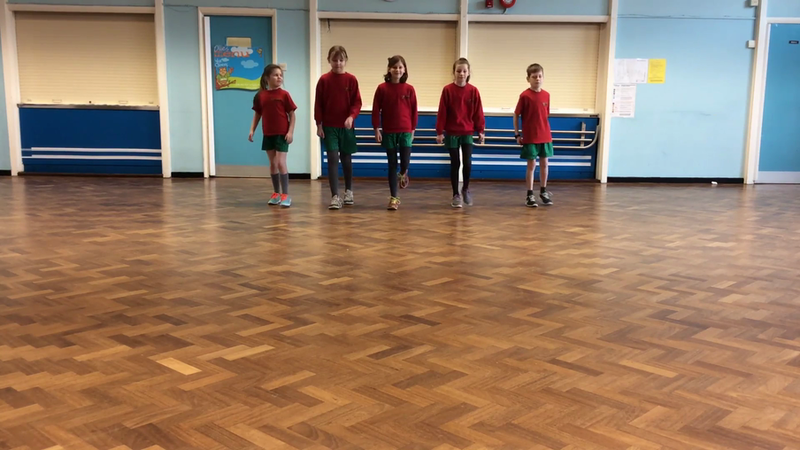 Then the children chose to focus on street dance and working in groups of 5 and 6 worked collaboratively together to create a short dance routine to the music 'Can't stop the feeling' by Justin Timberlake. Take a look at some samples of their routines. The Highwayman made a return visit to Cloverlea Primary School last Wednesday (22nd March). 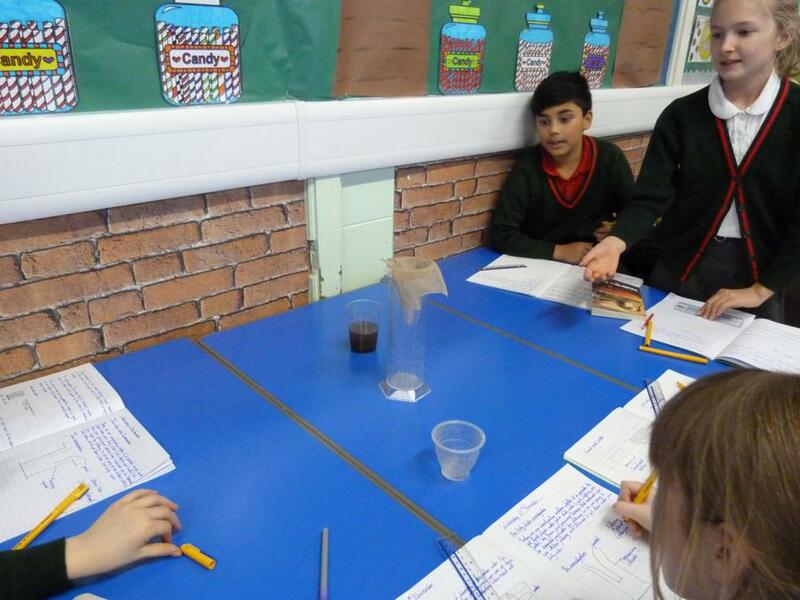 The children in Year 5 had the opportunity to interview him and collect vital information that would allow them to write a biography of his life. They came up with some wonderful, probing questions that delved into his life as a highwayman and questions that allowed them to understand his actions on the night that Bess (the landlord's daughter) died. The children in Year 5 have thoroughly enjoyed the work they have undertaken based on this narrative poem by Alfred Noyes. They have imagined themselves as a character from the poem and how they would have felt in certain situations. 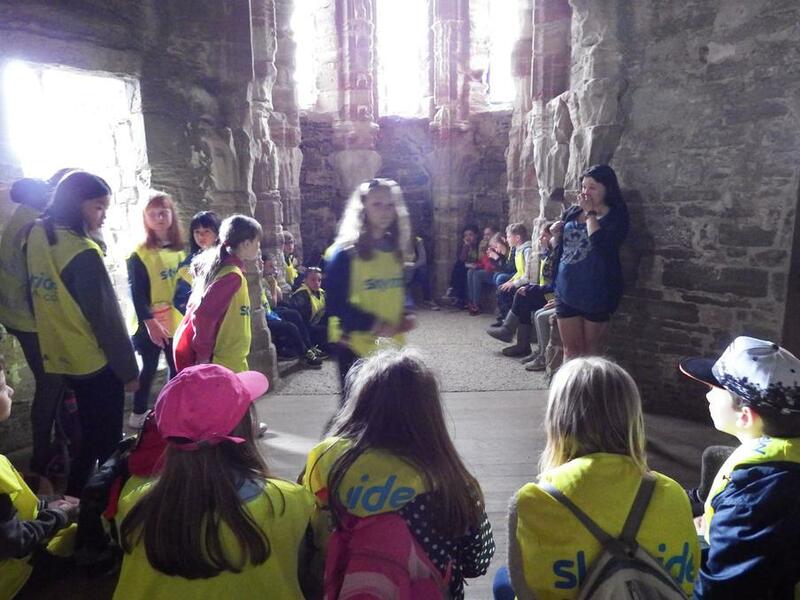 They have looked at how similes and metaphors create imagery in the poem and explored the events of that fateful night. The visit from the highwayman marked the end to this work. 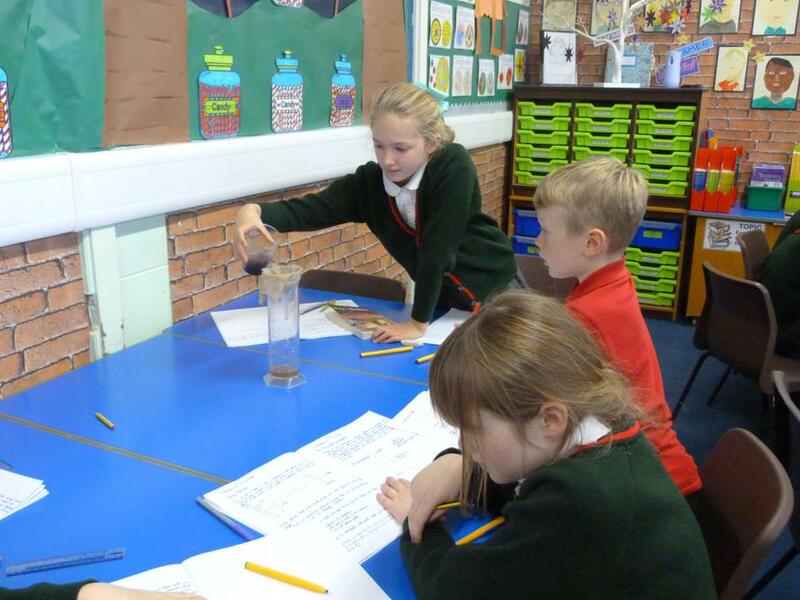 Some samples of the children's biographies will be appearing on this page very soon. 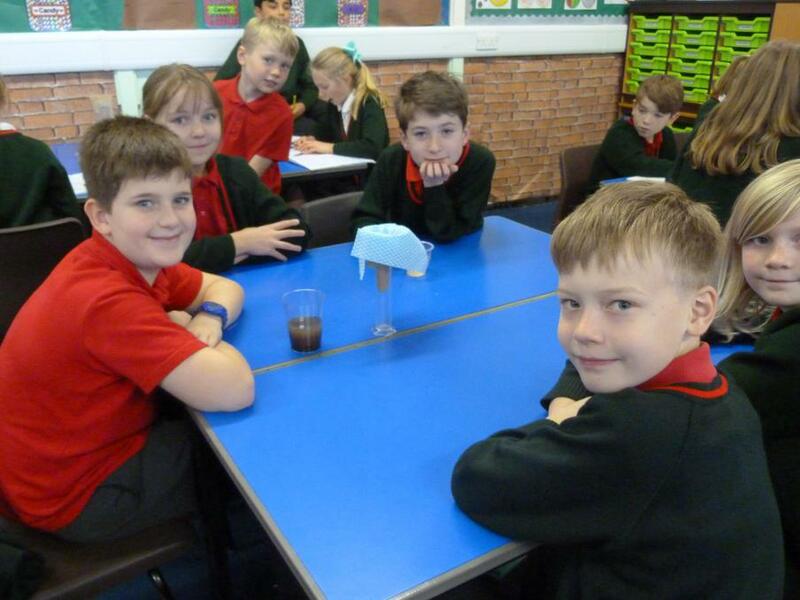 The children in Year 5 have been learning about the program 'SketchUp' and using it to create stunning interior rooms and grand designs for houses of the future. We hope that you enjoy looking at the work that we have produced using this computer program. Which one is your favourite? 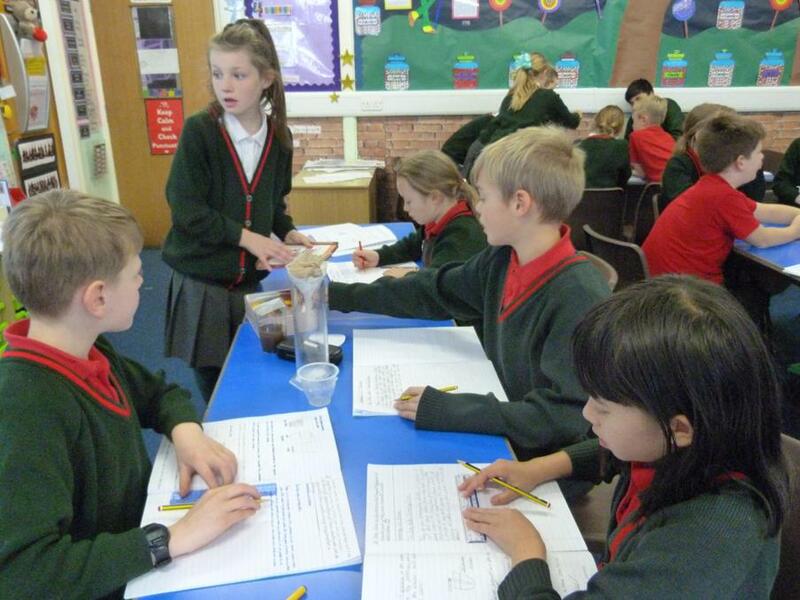 The children in Year 5 have been focusing on instructional writing. 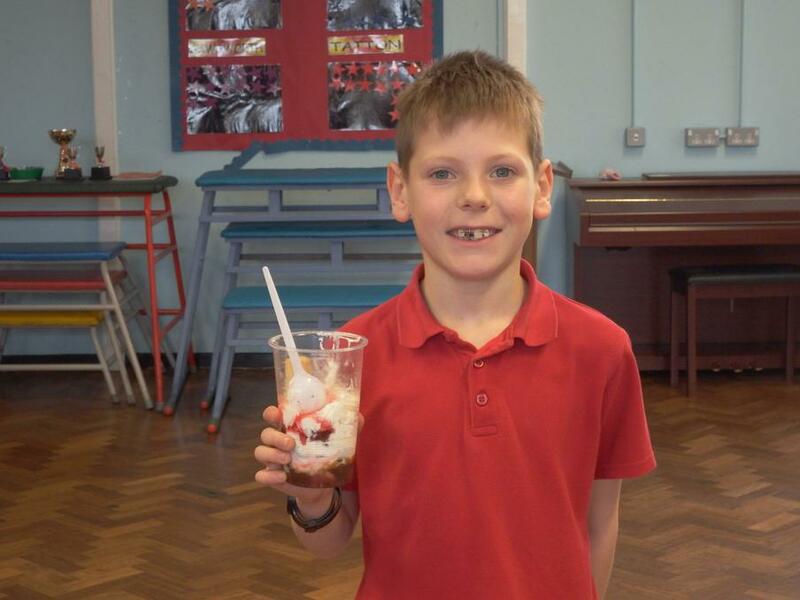 As part of this work they had to come up with a new recipe for an ice-cream sundae. 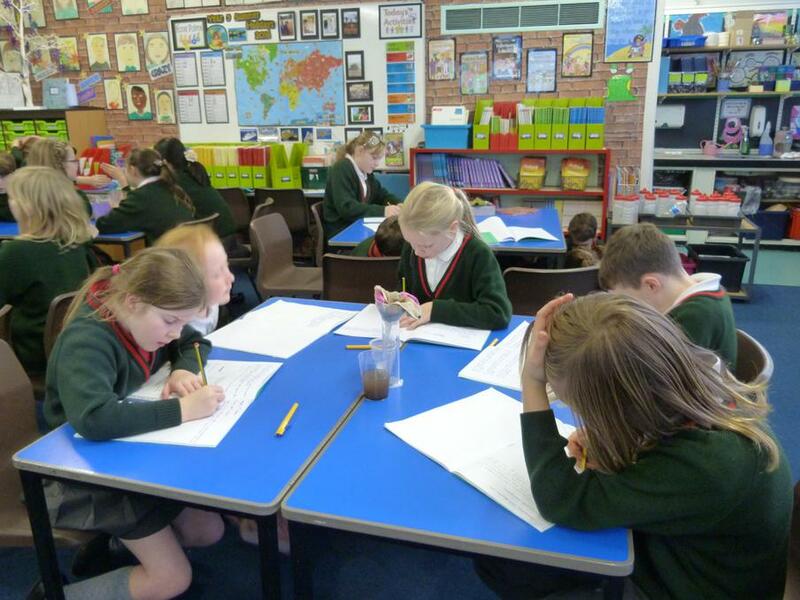 Time was taken looking at samples of recipes, discussing and identifying features of this type of writing and then the good part, thinking about ingredients for their own ice-cream sundae. 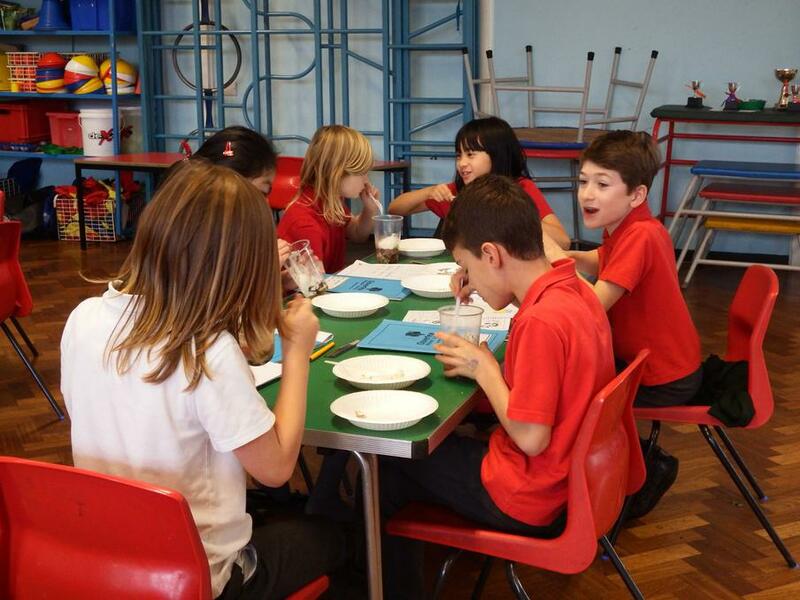 The children really enjoyed this unit of work and came out with some fantastic, lip-licking recipes. 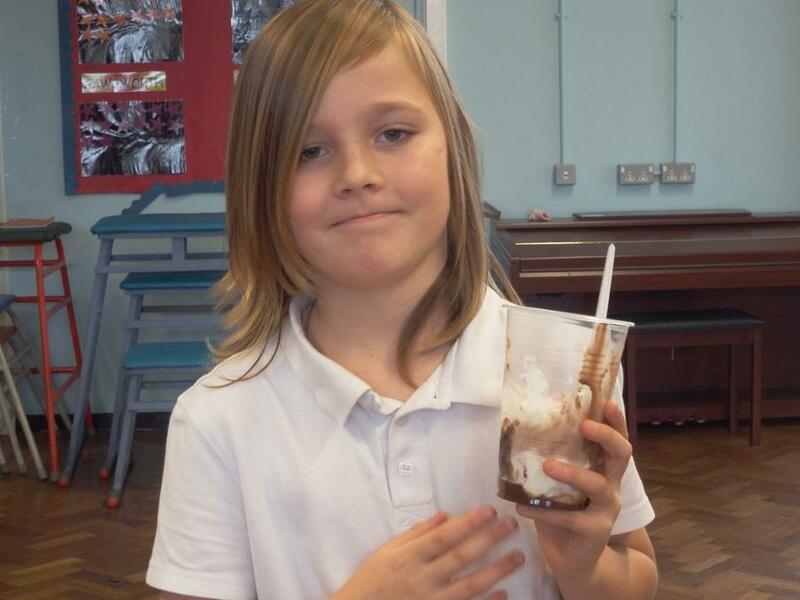 After writing and editing their recipes the children then had the opportunity to make their sundaes. 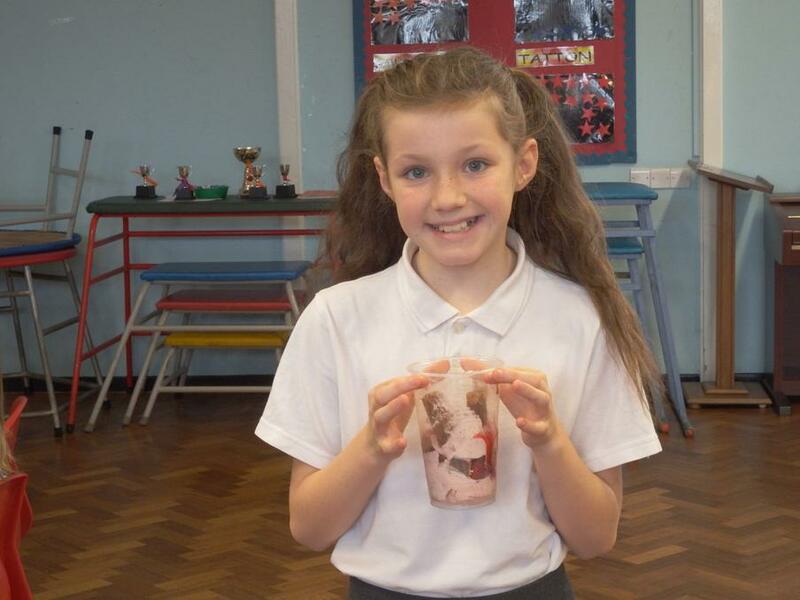 Here are some photographs of the children enjoying making and tasting their ice-cream sundaes. 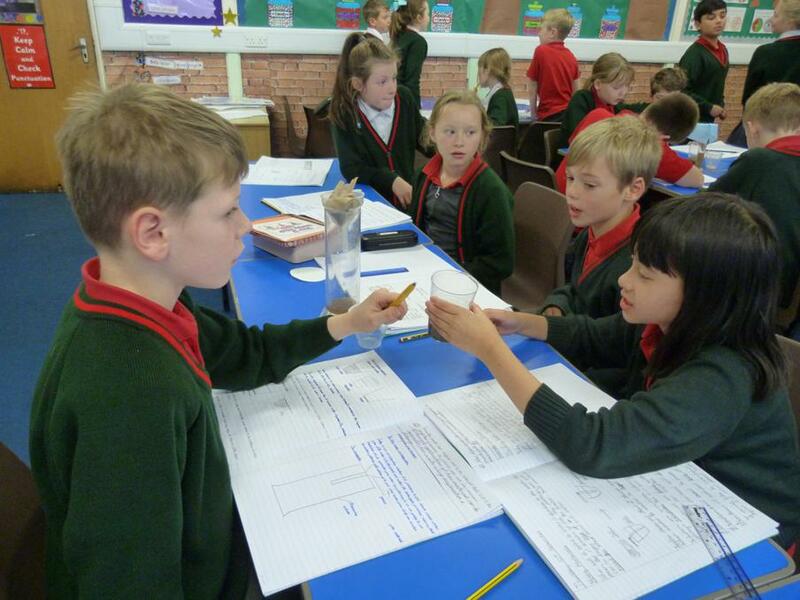 The pupils in Year 5 have been focusing on materials as part of their Science work this half term. 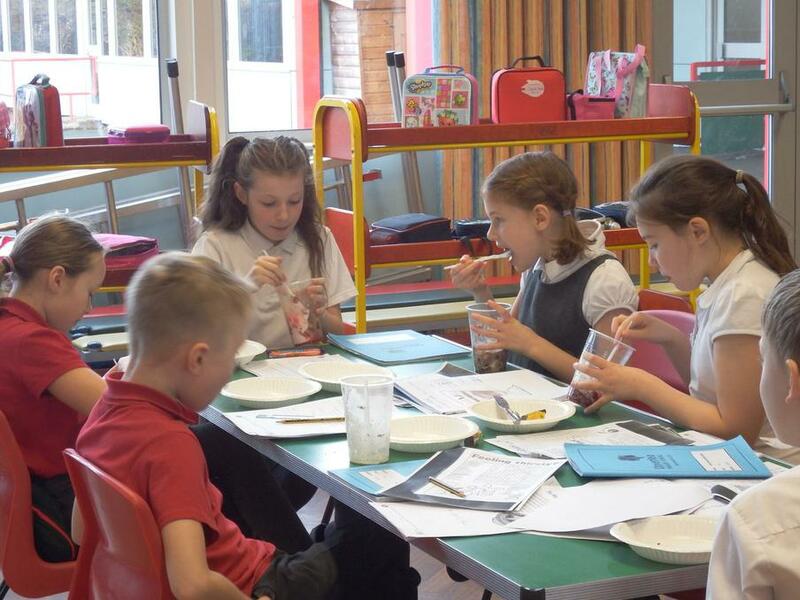 During this unit of work they have been learning about states of matter, soluble and insoluble materials, exploring what happens to materials when added to water, investigating how to separate materials, identifying reversible and irreversible changes and recently, learning about the properties of materials. 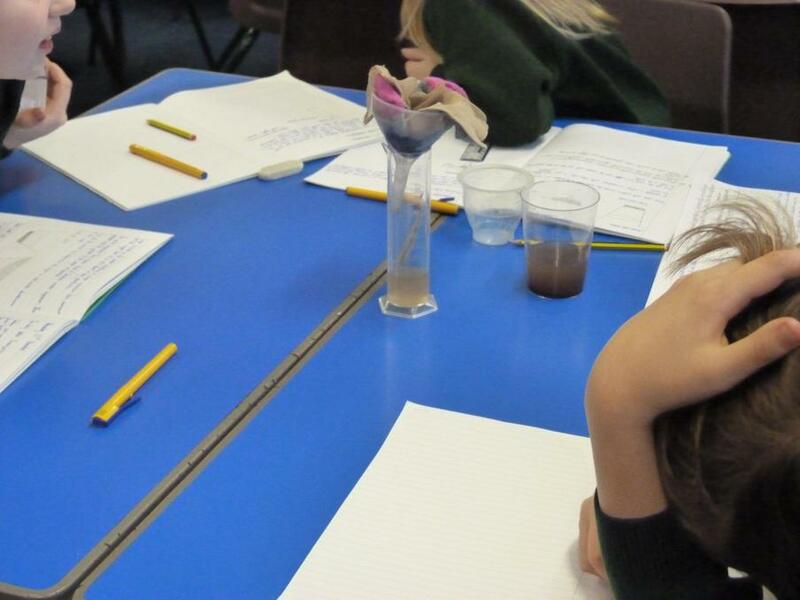 As you can imagine, this unit of work lends itself to lots of practical investigations and that is what we have been doing in class. 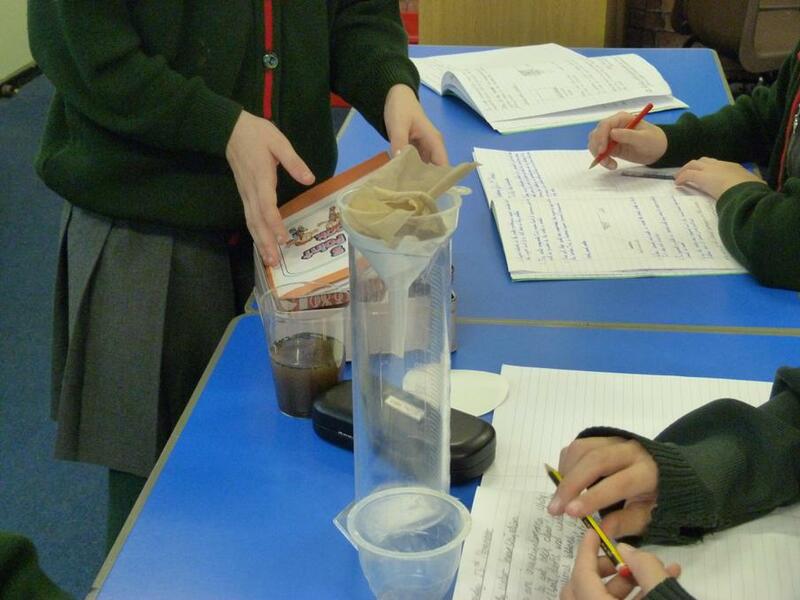 The photographs included show pupils trying to create the best filter for filtering muddy water. 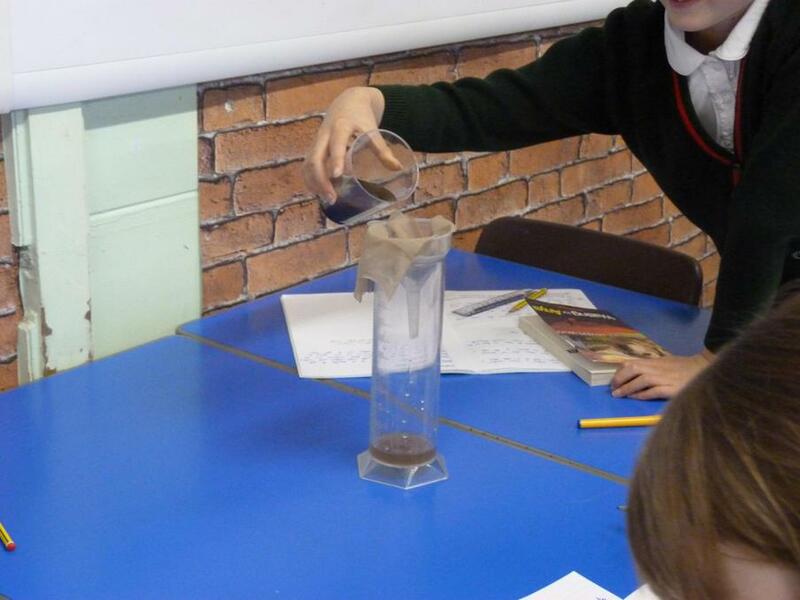 I think some of their ideas for filtering would impress Bear Grylls. 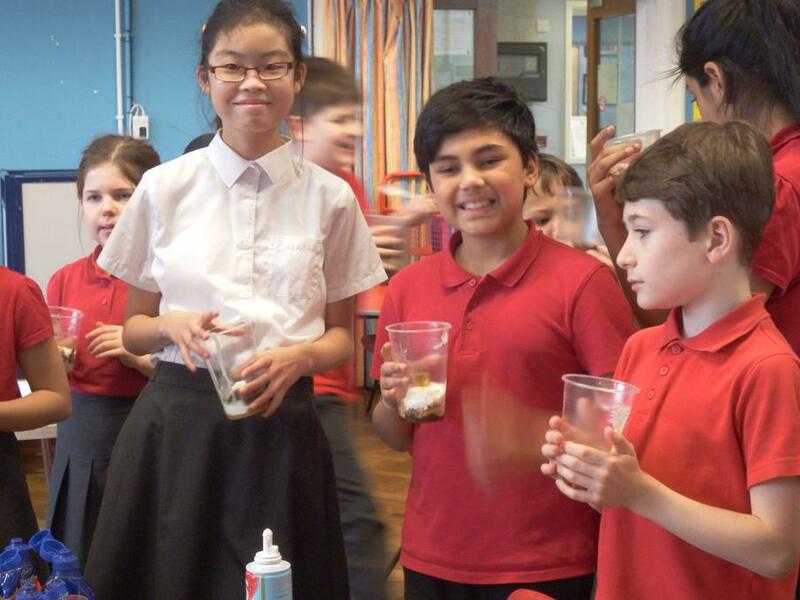 To celebrate Roald Dahl's 100th birthday, the school chose to take a week out of normal English lessons, to focus on the books of this popular children's author. 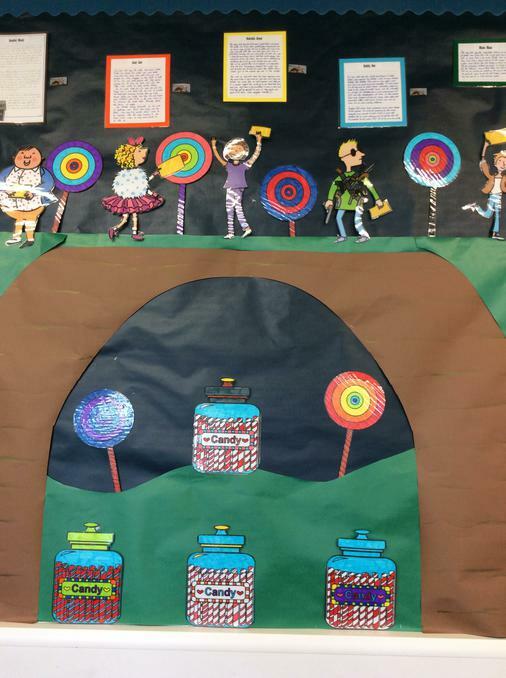 Year 5 was given the book of 'Charlie and the Chocolate Factory.' Time was spent reading this well loved story and from this we produced some pieces of writing and art work. 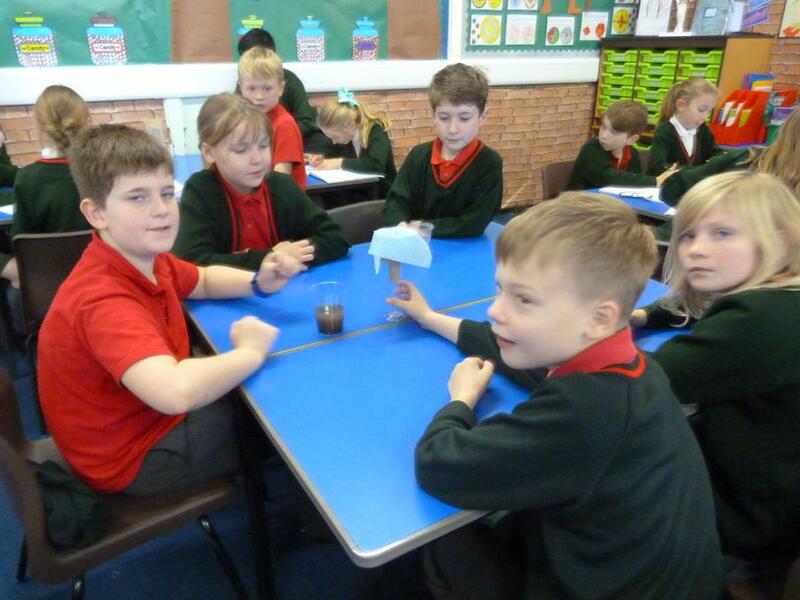 Firstly, the children had to imagine that there was a sixth golden ticket winner. They studied the way in which Roald Dahl introduced and described his characters and tried to adopt the same style in their own work. 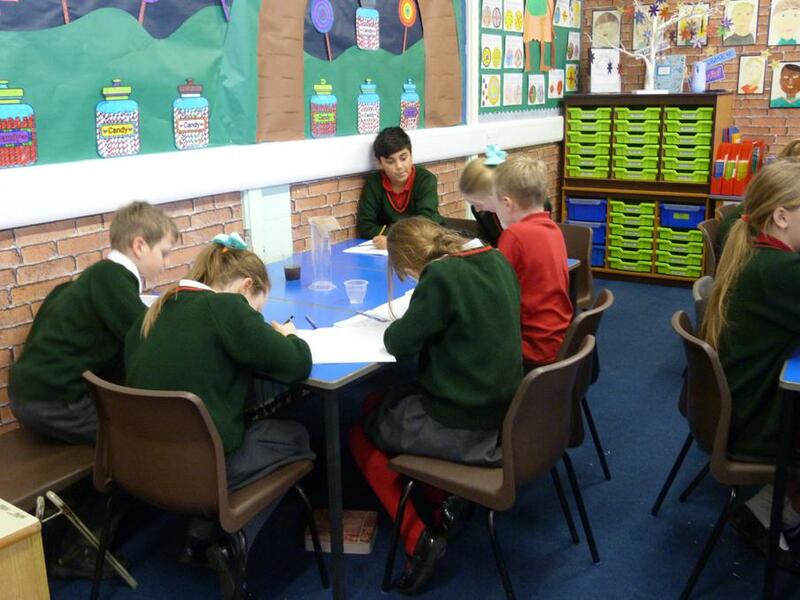 They really enjoyed this writing activity and produced some wonderful, funny and colourful characters. Secondly, they had to invent a new chocolate bar for Wonka. They had to think of a catchy name and consider what would make it be special and fitting to be sold in shops. Again, we enjoyed this activity and used the computer suite to design the bar and create a description of it. 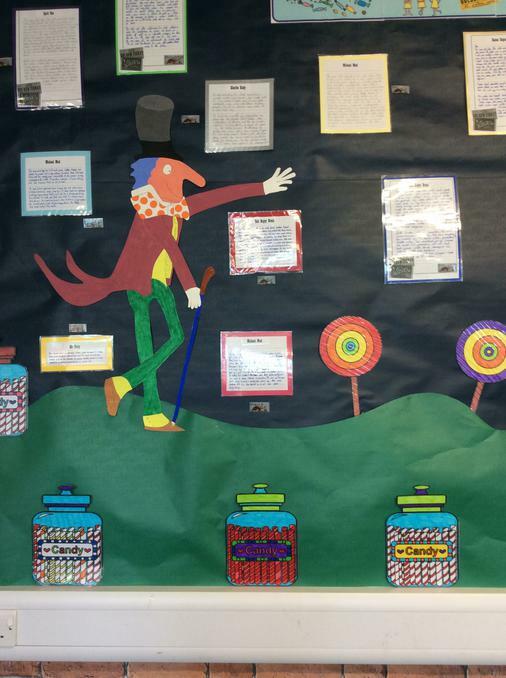 We hope you take the time to have a look at some of our new characters and our new inventions for Mr Willy Wonka. Apologies if your stomach starts grumbling or you start drooling whilst reading. 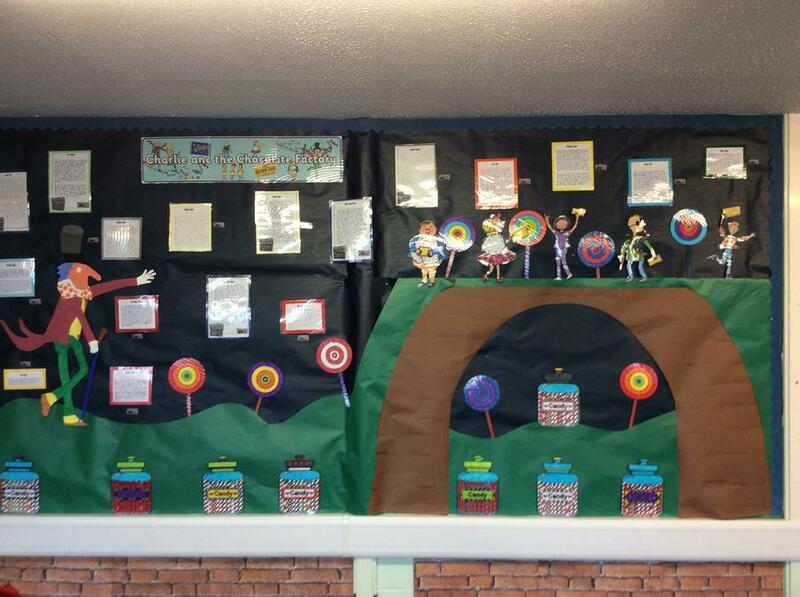 Here are the displays that we created at the end of the week, celebrating all the work that we had completed.